If tuning into the Olympics gives you major fitspiration, we’ve got you covered. 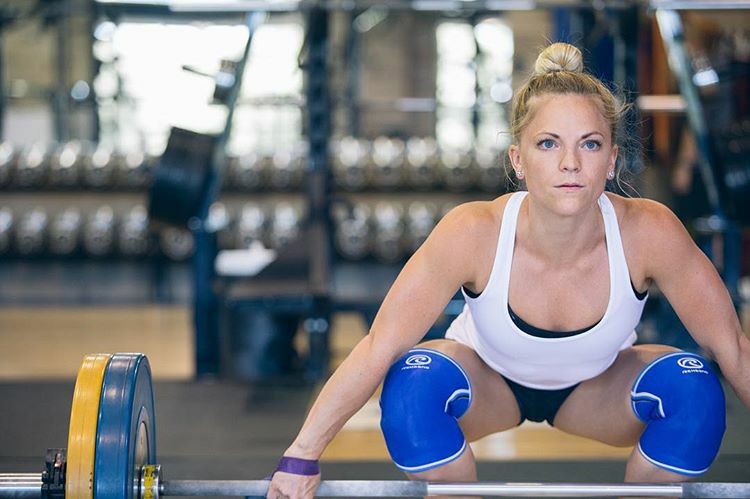 Follow these incredible athletes on Instagram for motivation during the Olympics and beyond. Morghan may be tiny – she’s just over 5 feet tall and hovers around 105 pounds – but she’s also crazy strong. Told by many coaches she was too small, Morghan is now one of the strongest women in the U.S. Her work ethic shines through on her Instagram, and she has some pretty cute pups, too. This entry was posted in Fitness Tips and tagged fitness motivation, fitspiration, instagram fitspiration, olympics, workout motivation on August 12, 2016 by Janelle Martel. Struggling with motivation? While it’s totally common to feel a little uninspired every now and then when it comes to your health, we want to help you get back on track. Check out these top tips to help you get your sweat on this spring. If you’re always doing the same gym routine, it can be really easy to get into a rut. Trying new things is a great way to mix up your workout, plus you’ll get the added benefit of better results from challenging your body in different ways. If you love getting your zen on with yoga, why not try a fun cardio dance class instead? If running is more your thing, try taking a spin class to work your legs in a different way. This entry was posted in Fitness Tips and tagged fitness motivation, fitspiration, motivational tips, spring motivation, workout motivation on April 26, 2016 by Janelle Martel.